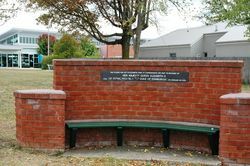 A seat and wall commemorate the visit of Queen Elizabeth II and the Duke of Edinburgh to Bathurst in 1954. 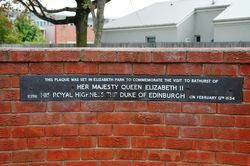 In 1954 Queen Elizabeth II became the first reigning monarch to tour Australia. The royal visit of 1954 was perhaps the most popular of all royal visits. 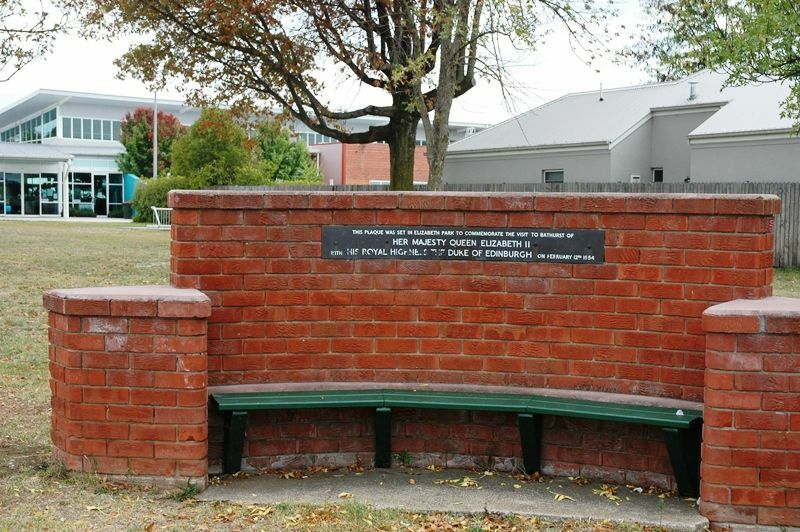 Aside from being the first tour of a reigning monarch, it was also the first royal tour to Australia for twenty years and its scale was immense. The Queen travelled approximately 10 000 miles by air, occupying a period of approximately 57 hours and made approximately 33 flights.